I recently wrote about several of my favorite books on software and team productivity. 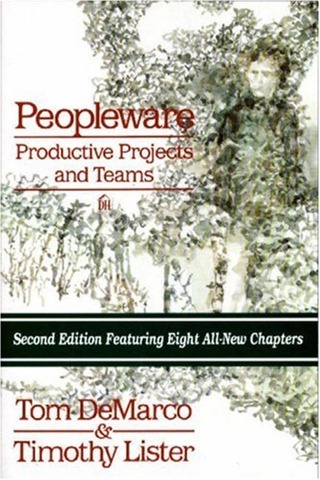 Peopleware is a classic book on team building, productive and “jelled” teams, individual and team productivity, and work place environment. It is thought-provoking and should be must-read material for anyone who ends up working in software development. Quality If Time Permits – knowledge workers want to produce high quality products; management and silly deadlines conspire to defeat this. Hiring a Juggler – you wouldn’t hire a juggler without asking him to juggle; why would you hire a programmer before asking him to code? There’s a relatively strong concentration on workplace environment (offices, cubes, windows, interruptions, …), with an emphasis and data to suggest that inefficient workplaces can destroy productivity. Workers and managers don’t always have easy ways to influence these factors, but they’re very much worth pondering. The book gets some criticism for its focus on negative behaviors to be avoided, rather than establishing positive behaviors to emulate. Portions of the material are also now somewhat dated (references to intercoms and 1970s pop music come to mind). However criticizing this book for being dated misses the point; the fundamentals remain valid years later and this remains a classic which has influenced thinking for several decades. This entry was posted in Software, Zynga. Bookmark the permalink.